Brought to you by the makers of Queens Night Market. 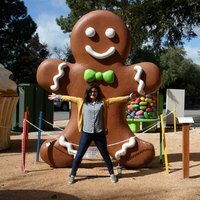 Move over, Smorgasburg! There's a new fest in town. 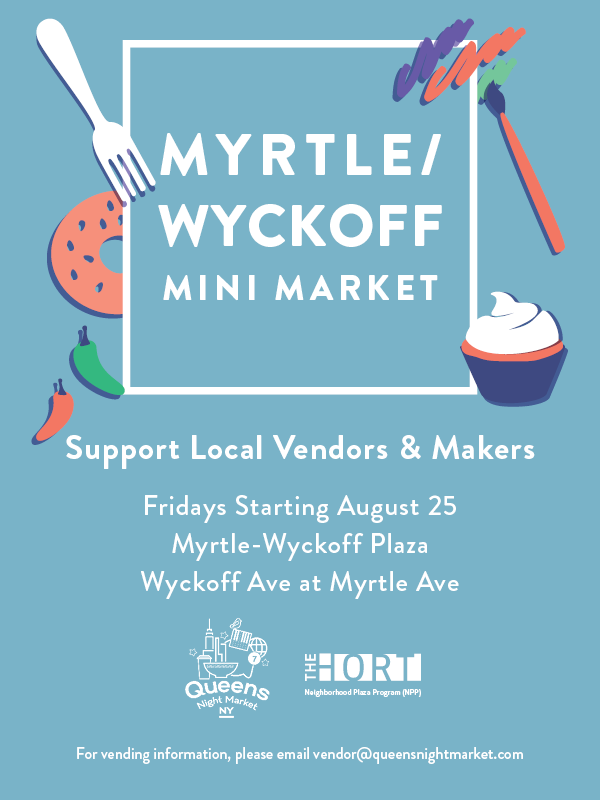 Starting on Friday, August 25, the organizers of Queens Night Market are partnering with the NYC Department of Transportation (DOT) to launch a mini food market out on the plaza at Myrtle and Wyckoff avenues. “This is a great opportunity to get more involved in community spaces," said John Wang, founder of the Queens Night Market. In addition to the mini market at Myrtle/Wyckoff, there will be one more at Fordham Plaza in the Bronx off the 4 train. And organizers, along with the DOT, are going to monitor traffic at the plazas to see how they can make sure people are taking full advantage of these newish public spaces. Vendors at Myrtle/Wyckoff include Portuguese pasteis de nata from Joey Bats Sweets, Puerto Rican pastelillos from Lily’s Sweet and Salty, Italian beef sandwiches from 2nd City Beef, and curated gifts from August Tree. And there's still time to apply to be a vendor yourself. All you have to do is email vendor@queensnightmarket.com for more details. 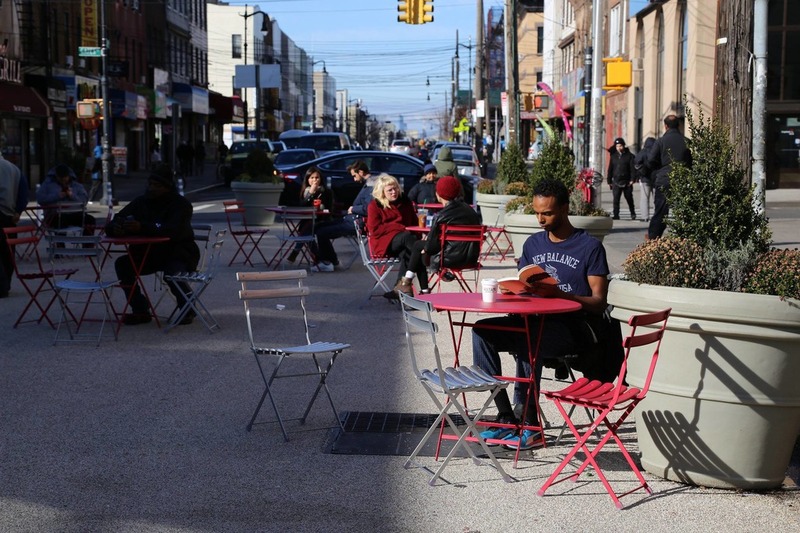 Here at Bushwick Daily, we applaud any innovative use of public space especially if it means we can grab a new tasty bite to eat on our way home from work once a week! Featured image courtesy of NYC DOT.